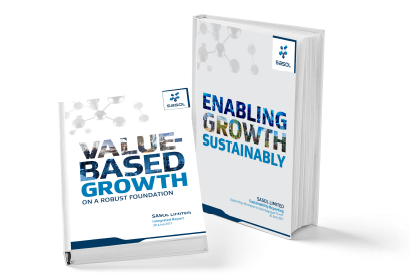 At a time when the oil price was at its lowest, we helped Sasol market their long-term strategy and robust investment case to boost confidence levels amongst all of their major stakeholder groups. 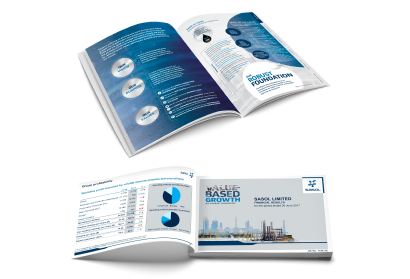 Our team of designers and content strategists worked closely with the team at Sasol to ensure that the messaging was consistent and that the design supported the content in each form of communication, whether it was with the integrated report, their analyst presentation or their interim financial announcement. Using iEdit, we were able to facilitate a smooth work process using one input document to create multiple outputs in both print and digital formats. 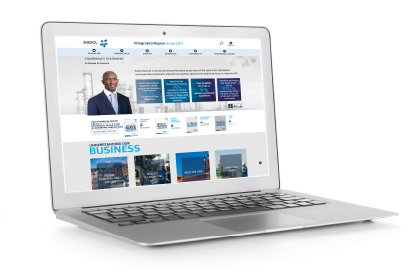 As we provide an end-to-end solution, we facilitated direct shareholder engagement by distributing Sasol’s documents via email and allowing shareholders to submit their proxy votes electronically before the AGM.